How To Buy The Best Electric Shaver - Which? Rotary or foil? Corded or cordless? Wet or dry? Read our expert advice to help you find the best electric shaver for you and your budget. Plus, there are a host of extra features to choose from when buying an electric shaver. As well as deciding if you'd prefer a foil or rotary model, you should also consider whether you'll need a quick-charge function, a beard comb or a model that can be used in the shower. Our tips below will help you decide if you want an electric shaver, and if you do, which type of shaver will best suit your needs. Once you've decided what type is best for you, take a look at our electric shaver reviews to discover the models that Which? recommends. Convenience You don’t need water or gel, so you don’t need to be in the bathroom (although many electric shavers can also be used wet if you prefer). Electric shaving is less messy. Holidays You can carry a shaver in your hand luggage and some will stay charged for up to three weeks, long enough for a stubble-free holiday or business trip. Electric shavers can be expensive Although you can pick up an electric shaver for less than £30, a top-end shaver with extra features can cost more than £300. The foils or heads need to be replaced every two years or so, which will typically set you back £15-£40. Not as close as a razor blade Feedback from Which? members shows that most of you still feel that a wet razor blade gives a closer shave than your electric shaver. What types of electric shaver are there? Foil shavers have straight heads that use oscillating blades beneath a fine perforated foil to cut hair. Braun and Panasonic electric shavers have foil heads, as do some Remington models. This type of electric shaver usually has three circular heads that rotate to lift and then cut stubble. All Philips electric shavers and some Remington models have rotary heads. Opinion is divided over which type is best. Our lab tests have uncovered models of both types that excel at shaving and are comfortable enough to earn our Best Buy recommendation, so we believe it's largely a matter of personal preference. Go straight to our Best Buy electric shavers. Mains rechargeable shavers can be used while they’re plugged into the mains or cordless. The mains option is useful if you forget to charge up your shaver before you need to use it. 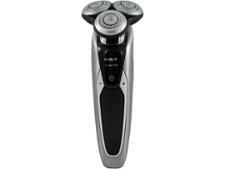 Most other shavers, including all ‘wet and dry’ models, are rechargeable and have to be used cordless. This gives you more freedom to move around while you shave, but means you can’t use them while it's charging. Electric shavers that can be used wet are always cordless to ensure that you can’t plug them in while you’re in the shower. Mains shavers aren’t rechargeable and need to be plugged in to work. These days, mains only models tend to be basic, entry-level shavers. What shaver features should I look out for? Some electric shavers come with a pop-up trimmer that means you don’t have to swap gadgets to complete your grooming regime. You may have to pay a little more for one, but it'll save you time in front of the mirror, as you won’t have to stop and hunt around for a separate attachment midway through your routine. If you want to maintain a beard or other facial hair, look for a shaver that includes a comb attachment to help keep your goatee at the perfect length. Or, if you only want to trim your beard and nothing else, check out our beard trimmer first look reviews. 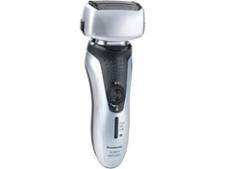 As well as dry use, some cordless electric shavers can be used with gel or shaving foam. The theory is that this gives you the best of both worlds – wet and dry shaving. Some can even be taken into the shower – so you can kill two birds with one stone. But always read the instructions before getting your shaver wet, as not all are suitable for use in this way. Some top-of-the-range cordless shavers have a digital countdown display that shows you how many minutes of shaving time you have left before you’ll need to recharge it. Other shavers have green or red indicator lights or bars to show you when your shaver is charging, fully charged, how much charge is left and whether the battery needs topping up. Many cordless shavers have a quick-charge feature, so you can plug yours in before you hop in the shower and it will be ready for you to have a shave when you come out. Most electric shavers need cleaning to get rid of cut hair and skin particles. You can do this manually by brushing or by tapping the stubble out, but you’ll also find that many shavers can be cleaned under a running tap. Always read the instructions before getting your shaver wet, though, as not all can be cleaned in this way. Some top-of-the-range shavers come with a cleaning station, so they can clean themselves. Simply pop your shaver into the base unit and relax. It’s a hassle-free way to keep your shaver clean and fuzz-free – all you need to do is replace the cleaning cartridges from time to time. Refills can be bought online or at larger chemists, and typically cost £4-£8 for a cartridge that should provide up to 30 cleaning cycles. For more information on how to keep your electric shaver in great condition read our full guide on how to clean and maintain an electric shaver. 18 monthsHow long your foil shaving head should continue to give you a close shave. How can I make sure I get the best shave? 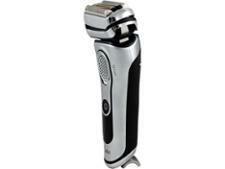 Pull your skin taut This will allow the shaver to get up close and personal with your hairs. Stretch your top lip over your teeth This gives a close shave under your nose. Moisturise Use an after-shaving moisturiser to keep your skin in tip top condition. Replace shave heads regularly To maintain a close shave, change the heads every 18 months for foils and every two years for rotaries.